This is, obviously, inspired by the alchemical circles in Fullmetal Alchemist, a series I was introduced to by my sister last Christmas. Fun times, a good manga- if you haven't read it, I encourage you to pick it up. Anyhow, this is something of a test drive towards some spells in Sauerbraten. 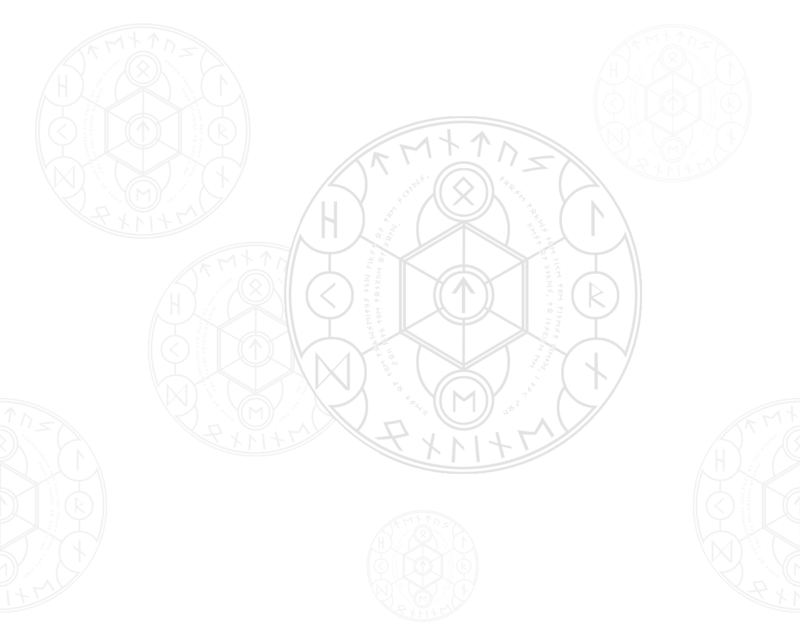 I'm hoping to refine this style of Norse-Alchemy into something we can use in the game. I'm also kind of hoping to use this style of image around the site. The image is 1280x1024, so it can be used as a normal background. It was made entirely from scratch in Photoshop (well, I do have a Norse font installed). The letters are mostly drawn from "Tentus Online" and my real initials. Also, the vertical-ish lines of text are drawn from a Norse prayer invoking most of the major Norse gods.